We are organizing a workshop to catalyze the study of the microbiology of built environments where animals live. The workshop is scheduled for October 7th and 8th at UC Davis. Our aim is to bring together experts in animal health, building science and microbiology to discuss why these systems are worthy of study and how research in this area might improve both human and animal health. I am writing this to (1) see who might be interested in participating and (2) look for ideas for topics for the workshop. We are not alone in living in built environments and the animals that live amongst us can affect our health. Recent studies show that we share microbes with our household pets (e.g., Song et al. 2013) and some of these microbes, such as Lactobacillus johnsonii may be beneficial (e.g., Fujimura et al. 2013). In addition to our pets, we build zoos and aquariums, stables and racetracks, and we raise animals for food. Studies of animal housing in shelters and for livestock have generated design innovations that improve animal health (see this example of a simple design modification in cat housing in animal shelters that can lower incidence of respiratory illness). However, the microbiology of these environments is largely uncharacterized except for surveys for pathogens. What interests you about animals, microbiology and buildings? 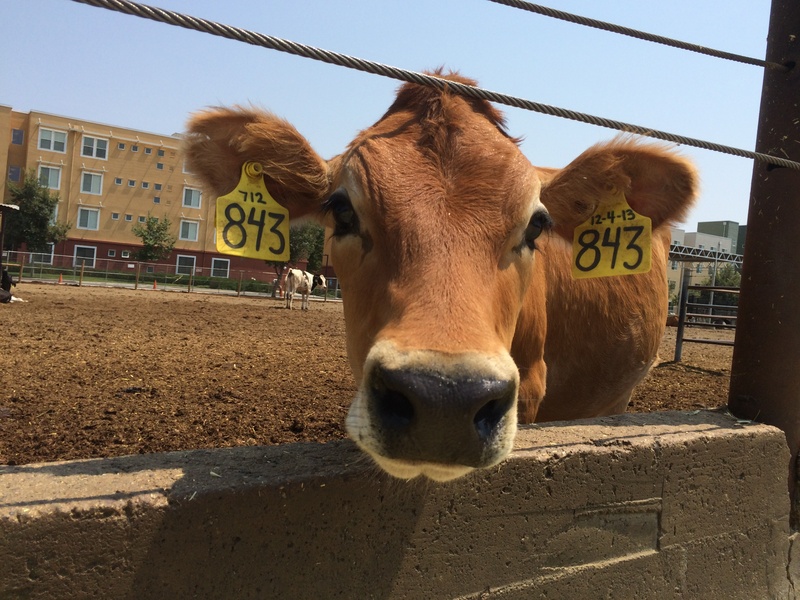 We have dairy cows on campus at UC Davis. I am excited about this workshop and I have been thinking about this topic for a while, especially in the context of beneficial microbes and potential zoonoses as well. I hope that I can make it that week.